But, just like any other marketing tactic, there are some dos and don’ts when it comes to running successful Facebook ad campaigns. We want to help ensure your next travel marketing campaign is a slam dunk, and that you avoid these three commonly made mistakes to prevent wasting ad budget and resources. On average, the American consumer spends about 40 minutes on Facebook sharing and liking content, AND every minute, Facebook users like more than 4.1 million posts, post their own comments, status updates and photos. This is why having a strong Facebook presence and utilizing Facebook ads, particularly for travel marketers, makes so much sense. Facebook engages a large user base every minute, every hour, every day, which provides you with a tremendous opportunity to market your resort or location to your target audience...if your Facebook ad campaigns are setup and managed the right way. Before you create an ad for your next travel marketing campaign, you have to establish smart goals. Consider this question when determining your campaign goal: what is the objective of your ad? By answering this question, and having a solid understanding of what you’re trying to achieve, you’ll be able to measure the right metrics, adjust accordingly and determine if you were successful. Cost Per Lead (CPL). If your goal is to try and increase leads, then you need to measure how many conversions you get with your ads. Cost Per Click (CPC). 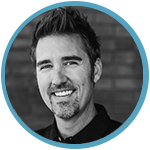 If your goal is to drive traffic back to your website, then you need to measure the cost per click. Cost Per Like. If your goal is to increase Likes on your page, then you need to measure the cost per Like. So here’s the thing: you should ALWAYS be testing your ad creative, copy and targeting. If you don’t, how will you ever know if your ad campaign resonated with your target audience? The more you test, and analyze the data, the better your Facebook advertising will be. Test the creative. Create multiple ads within your ad set. It’s important to keep all copy the same, and use different images to determine which one gets the best engagement. Test your targeting. Use the same copy and creative in two different ad sets with different targeting. By doing this, you can see which audience responds more favorably and then hone in on that demographic. We often get asked about things we value most about Facebook advertising. Our answer: the ability to use advanced targeting. Advanced targeting allows for much more effective results because you have the ability to send the right message to the right target audience. Instead of showing the same ad to everyone, you can narrow your targets and create unique ads for each specific audience. 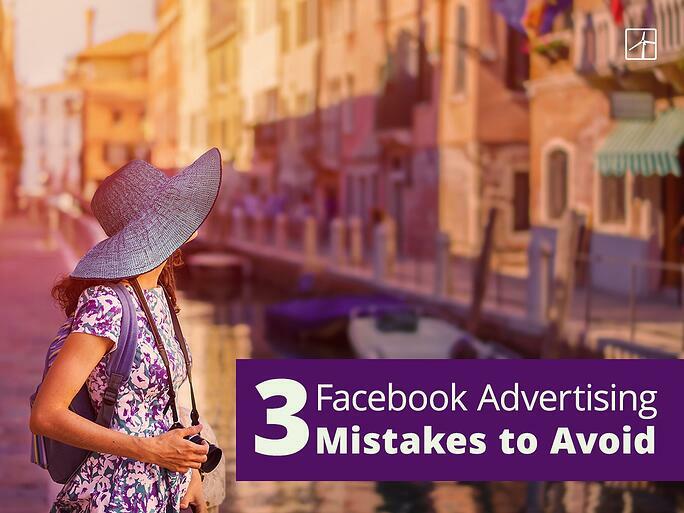 Now that we’ve covered the Facebook advertising mistakes to avoid, also check out our helpful post: The Travel Marketer’s Guide to Facebook Ads, for some additional tips and resources you’ll want to implement in your next campaign. And now we’d love to hear from you! What other lessons have you learned from past travel marketing campaigns you’ve executed on Facebook? Would you add any other common mistakes to our list, or have any best practices of your own? Please leave a comment below and let’s discuss!